A low-growing, hybrid variety reaching only 3ft in height at maturity (less if grown in a container). White flowers with a slight pink flush are produced in great abundance in spring (flowers early in warmer areas), followed by small-medium sized berries early in the fruiting season. 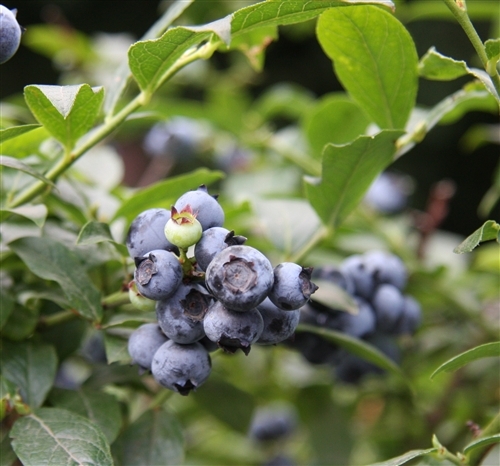 The fruit flavour is typical of the wild american, lowbush blueberries. Very hardy. Spectacular red autumn colour. Looks particularly good grown in a low container or trough. Please note: Height assumes plant grown in ideal conditions in open ground. Low growing, very hardy, good autumn colour. Arrived very swiftly, ordered on wed arrived on fri.
well packaged, with suitable packaging, and warning on the package to make sure plants protected.